On Sunday, May 7, 2017 11am, families, friends and the policing community will gather at Queen’s Park, Toronto, Ontario Canada, to pay tribute to 264 police officers who have fallen in the line of duty. 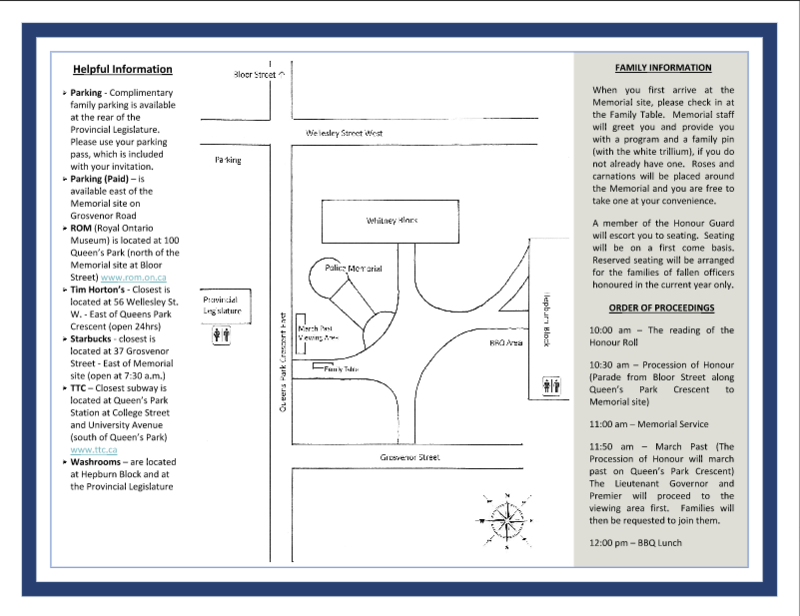 For updates on ceremony itinerary click here. For directions click here. All are welcome. took place but he passed away shortly after. Alfred was 56 years of age, married with 4 children at the time of his death. Craig, he broke free and escaped with the gentleman and now others in pursuit. young man through the building and into the cell, where he was locked up. but unfortunately he had died of a heart attack within minutes. at the time of his death. 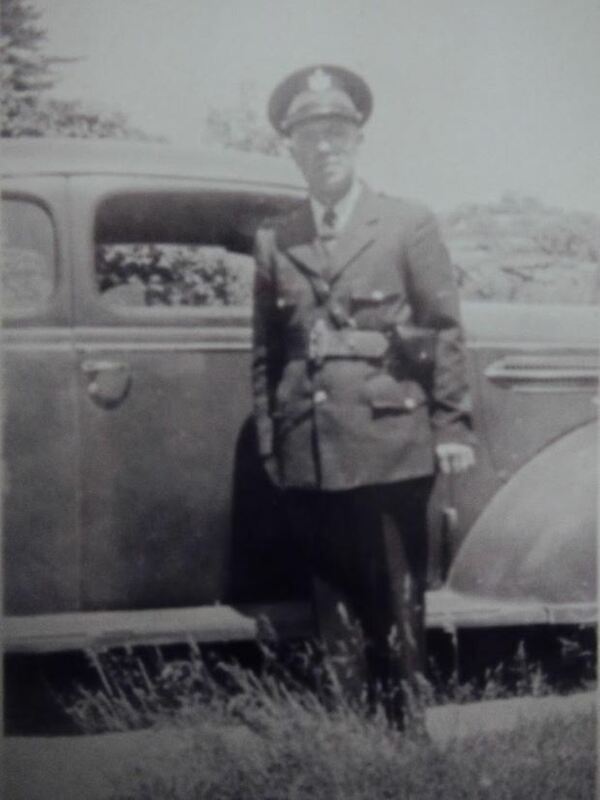 Constable Ferguson suffered a heart attack and died moments later in the cruiser. on June 1, 1947. He was married and had a son at the time of his death. Belleville hospital. His injuries proved fatal and he died shortly after arriving. 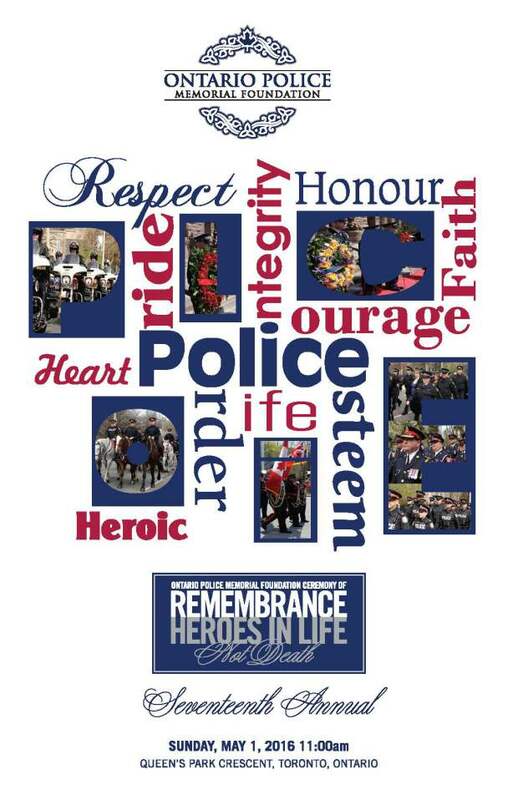 On Sunday, May 3, 2015, families, friends and the policing community with gather at Queen’s Park to pay tribute to 257 police officers who have fallen in the line of duty. 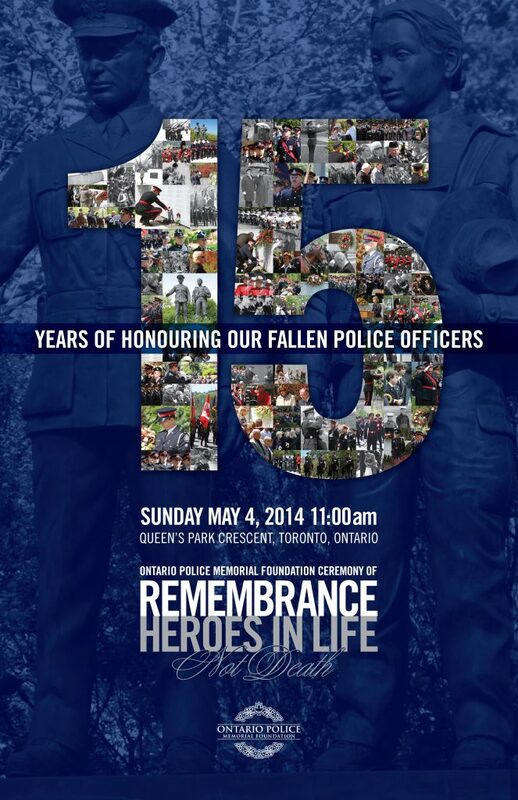 On Sunday May 3rd 2015, the 16th annual Ceremony of Remembrance for Ontario’s fallen Police Officers will take place. All 257 names will be read aloud beginning at 10am, by two officers representing the latest graduating class of Ontario’s finest, from the Ontario Police College. Music from the Waterloo Regional Brass Band, and songs from members of the Ontario Police Choruses, will be performed prior to the arrival of the Procession of Honour. Police Pipe Bands will lead the officers from across Ontario and the United States of America in their march along Queen’s Park Crescent arriving at the steps of the Legislature before 11am for the official start of the annual Ceremony of Remembrance. Attending the Ceremony will be the Honourable Elizabeth Dowdeswell, Lieutenant Governor of Ontario; the Honourable Kathleen Wynne, Premier of Ontario; Mr. Ted Arnott, MPP and First Deputy Chair of the Committee of the Whole, representing the Honourable Dave Levac; the Honourable Yasir Naqvi, the Minister of Community Safety and Correctional Services of Ontario; and the families and friends of the fallen officers. The Ontario Police Memorial Foundation (OPMF), host of the annual Memorial Service, continues with its research, to fulfill its goal of ensuring that every fallen officer from Ontario will not be forgotten. The architectural illumination of the CN Tower will be done in blue light on May 3rd to honour police officers in the Province of Ontario who have lost their lives in the line of duty. The Ontario Police Memorial Foundation will be streaming live on Facebook and Twitter throughout the Ceremony. Contact Persons: Mike Abbott, President, OPMF at 416-659-1469 or Constable Jeniffer Sidhu, Toronto Police Service, Public Information, at 416−808−7094. The Memorial is located in a small park adjacent to the Ontario Legislature, at the corner of Grosvenor Street and Queen’s Park Crescent. The Memorial was built from a grant provided by the Ontario Government. Official dedication Service May 7th, 2000. The Memorial consists of two bronze statues, (approximate 2.5 m), depicting a male officer in duty dress circa 1950-1990 and a female officer in modern duty dress. The statues are mounted atop a large granite pedestal base (weighing 30,000 lbs). At the feet of the statues are eight (8) cascading granite walls. The four – (4) walls on either side of the main pedestal form a horseshoe shape. The names of all known fallen officers are inscribed on these walls, the “Wall of Honour”. Toronto based artist; Mr. Siggy Puchta is the sculptor of the bronze statues. He has many awards and accomplishments. (1986 he designed the trophy depicting the Calgary Saddledome for the Calgary Cup Games (pre-Olympic games). In 1991, he was commissioned to create seven large Canada Geese for the Blue Water Bridge Authority in Sarnia, Ontario. In 1994, he designed the Marilyn Bell award sculpture). The deceased member must have been a sworn member of a police service. The Death must have occurred as a result of a traumatic event influenced by an external agent. The deceased member must have been on duty at the time of death, or if off duty, acting in the capacity of a police officer, or the circumstances leading to the death must have been brought about because of the deceased’s official status. The deceased must have acted in good faith in doing everything that could reasonably have been expected. Notwithstanding all of the above, the Committee may consider any set of circumstances which lead to a death of a member of a police service. 257 Officers from Ontario Police Services are named on the Wall of Honour. 65 Ontario Police Services are named on the Wall of Honour. 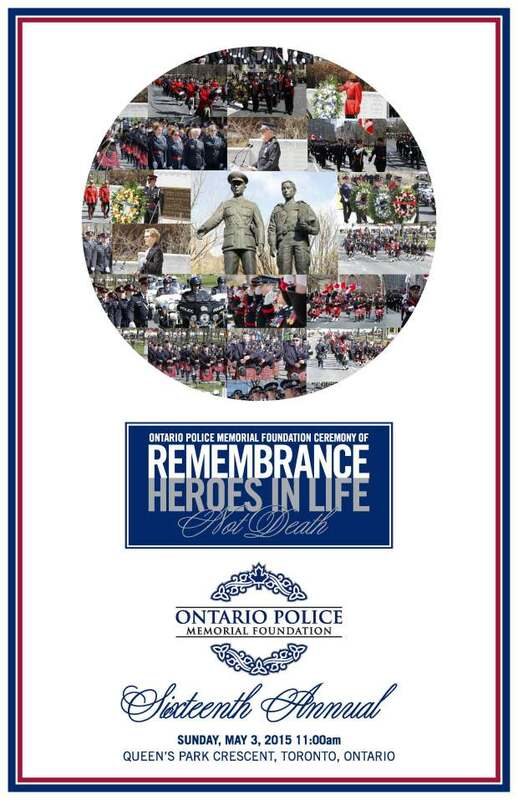 The Ontario Provincial Police have 86 officers named on the Wall of Honour. 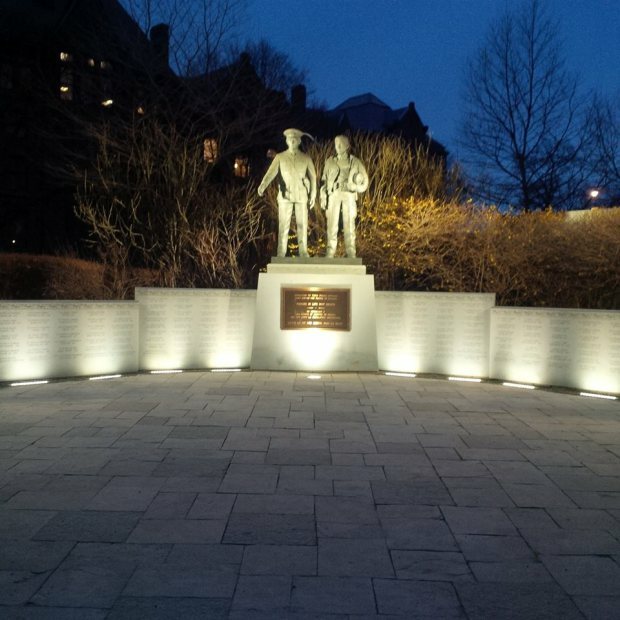 The Toronto Police have 41 officers named on the Wall of Honour. 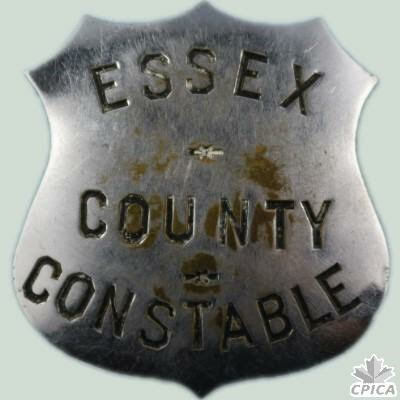 This pewter pin replicates the Memorial’s Wall of Honour, which contains the names of all fallen officers who have died in the service of the people of Ontario. 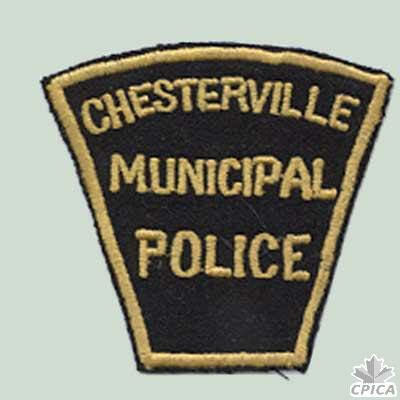 The pin depicts a trillium placed within a badge. 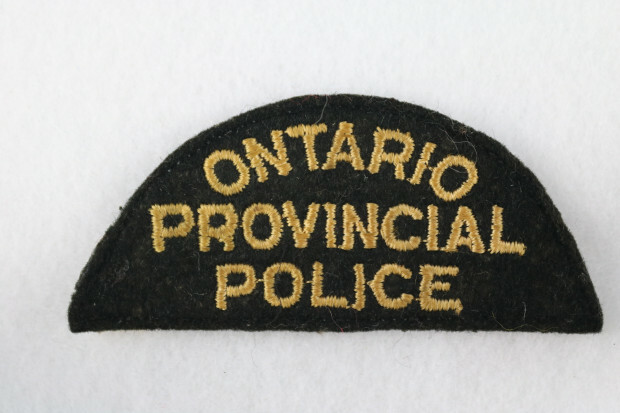 The badge is the symbol, which represents the authority of all police officers, and the trillium is the official flower of Ontario. Combined together, they represent the Police Officers of Ontario. The words, “HEROES IN LIFE NOT DEATH” are on the Memorial’s main pedestal and on the Memorial Pin. On August 12th, 1998, Waterloo Regional Police Constable David Nicholson lost his life while trying to recover the body of a child who drowned in the Grand River at the Parkhill Dam in Cambridge, Ontario. Wendy Nicholson’s words are the inspiration for this inscription. The Ontario Association of Chiefs of Police and the Commissioner of the OPP have endorsed the wearing of this pin on an officer’s uniform. Police Officers, both active and retired, are asked and encouraged to wear the pin as a sign of support and respect for the families and our fallen comrades. 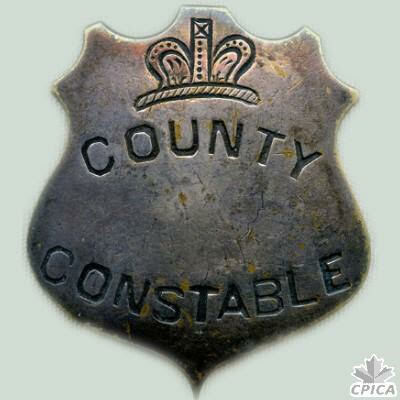 Constable John Acton joined the Toronto Police in 1904 working as a patrolman. 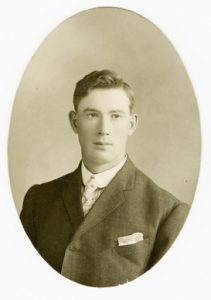 In June 1907, while making an arrest, Constable Acton was jumped and was badly beaten by a gang of thugs in the laneway behind the Majestic Hotel (Queen St. and Ryerson Ave.) in Toronto. As a result of his injuries, he went off work and was under Doctor’s care for months. He returned back to work for a short time, but was not well enough and was forced off work again. He was hospitalized for six weeks prior to his passing. The cause of his death was listed as complications of pneumonia, which was very common with injuries to the rib area and the inability to breathe deeply. He was single at the time of his death. 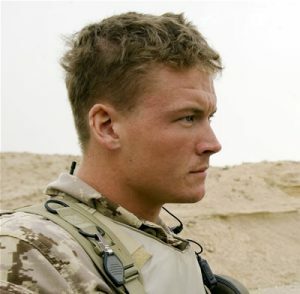 In May of 2003, Matthew Dinning joined the Canadian Forces and completed his basic training in April 2004 as a Corporal and was assigned to the Military Police. Matthew was first posted to CFB Petawawa in 2004 where he was as a Patrolman. Matthew, from near his first day, requested an overseas tour, his primary motivation for joining the Canadian Forces. In 2005, Matthew was posted to 2 MP Platoon and trained for tactical MP employment and Close Protection Security. In January 2006, Matthew was deployed to Afghanistan as part of the Multinational Brigade Regional Command South – assigned to the security detail to protect Brigadier General David Fraser. On April 22nd 2006, Matthew was in a G-Wagon with 3 other members when they struck an IED on the roadway. Matthew and the three other members all lost their lives. Matthew was single at the time of his death. 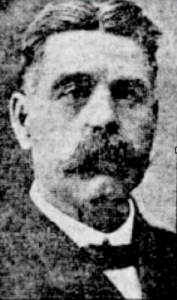 Joseph Prevett served in law enforcement for 16 years. He began his career with Peel Regional Police in 1998 then joined Thunder Bay in 2003. 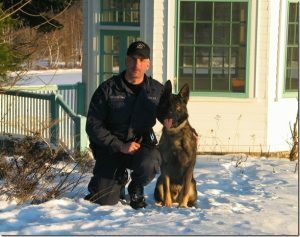 Constable Joseph Prevett was the K-9 handler with the Thunder Bay Police. On May 7th 2014, while participating in a joint training exercise at the Ontario Provincial Police K-9 training centre in Gravenhurst Ontario, Joseph suffered a massive heart attack. He and his K-9 partner, Timber, were navigating a course when Joseph suddenly collapsed. He was transported to the local hospital where he passed away. He is survived by his wife and family. He was 50 years of age. DVP Closure – Will Open Early Sunday Morning! Please be advised the DVP is scheduled to be closed for spring maintenance from Friday, May 2nd at 10:00 p.m. to Sunday, May 4th at 6:00 a.m. It should be open in time for traveling to the Memorial. Please refer to Directions 2014 for further information. 15TH YEAR OF THE CEREMONY OF REMEMBRANCE! 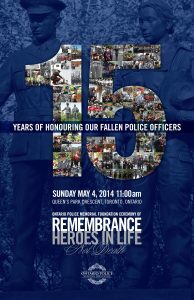 On Sunday, May 4, 2014, families, friends and the policing community with gather at Queen’s Park to pay tribute to 254 police officers who have fallen in the line of duty.